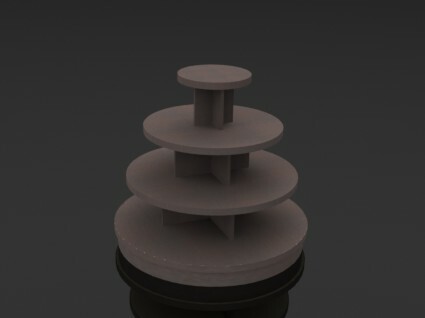 A versatile round, tiered table display. Great for boxed notes, gifts, clothing, etc. Optional caster kit available. 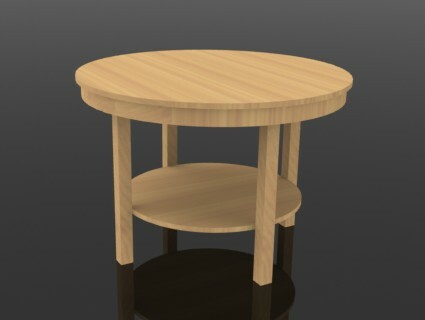 The SF8 is a simple round display table. It is a versatile and affordable fixture. 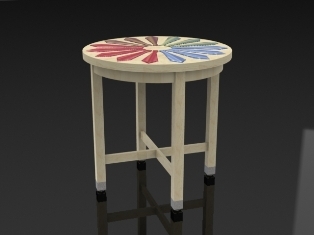 The SF9 is a simple round display table with a shelf. It is a versatile and affordable fixture. 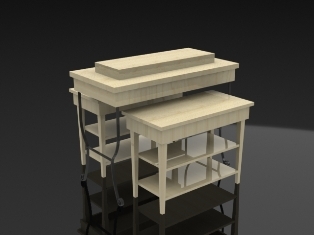 The SF7 is a simple rectangular table that can be produced in any size. 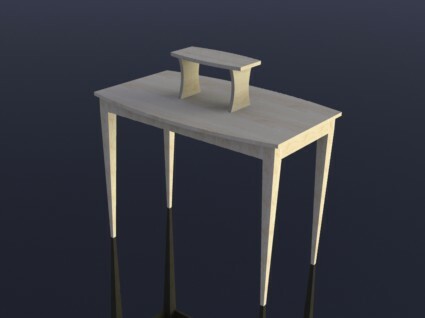 These are our standard nesting retail tables with tapered hardwood legs. Size is customizable. 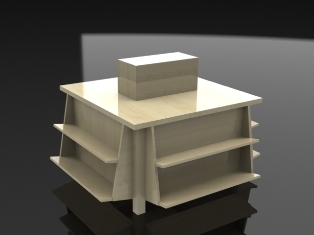 RT02 is a set of free-standing display tables, ideal for store fronts. The wrought-iron legs of the large table and the tapered hardwood legs of the nesting tables draw customers to your product. 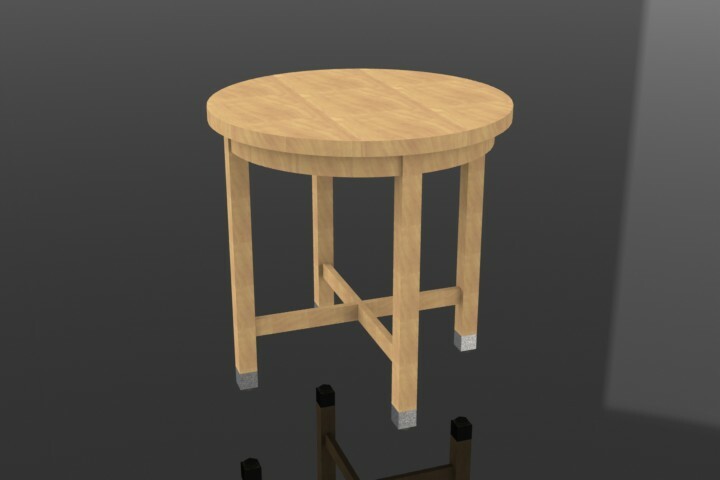 These are simple, elegant, round retail tables. They can be ordered in any custom size. 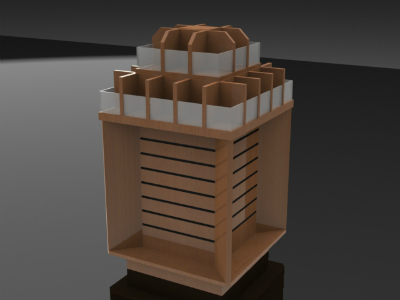 The SS12 is a high-end stationery table that is ideal for displaying boxed notes and similar items. Fully Customizable. A high-end nesting table display. The wrought-iron legs set off the product nicely. 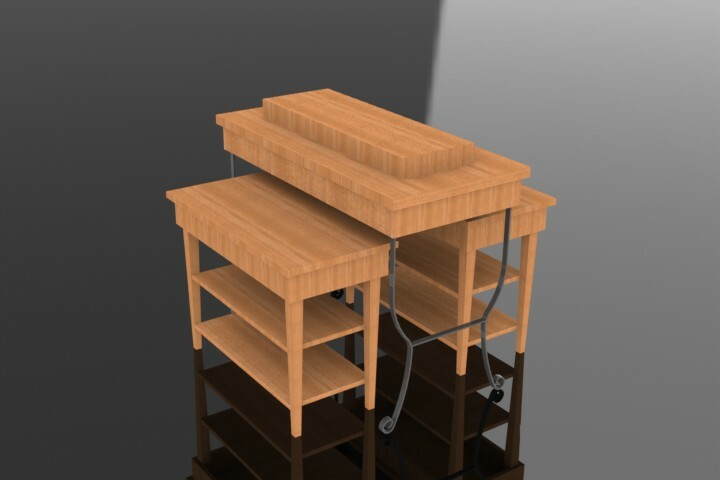 A mobile multi-purpose display table. 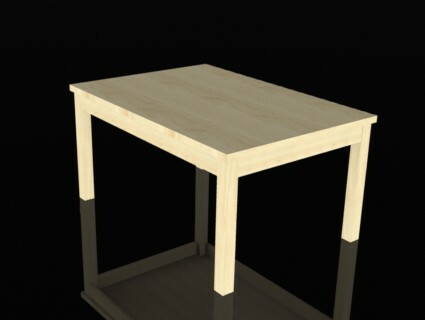 The legs are durable solid wood. Our standard napkin-tray shelf. 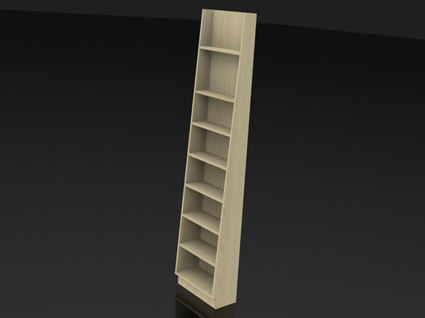 The shelf is angled back slightly, and has a lip to prevent items from falling. The acrylic is shipped in a carefully designed box to prevent damage. Custom sizes up to 8" deep and 36" wide available. 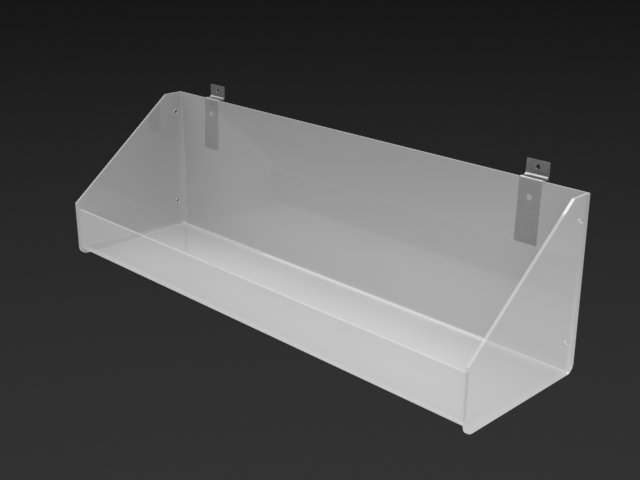 The SS10 is our standard acrylic shelf. It has a slight tilt to keep items from falling off, but no lip around the edges. The acrylic is shipped in a carefully designed box to prevent damage. Custom sizes up to 10" deep and 36" wide available. 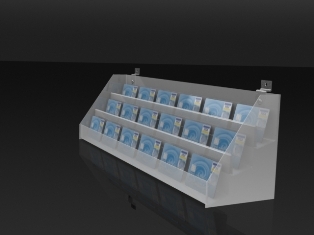 The SS11 is a three-tier gift-card display. It comes with slat- or drywall attachment hardware. Custom sizes are available. This SS11 is often used with the SS3a, or SS15. The acrylic is shipped in a carefully designed box to prevent damage. 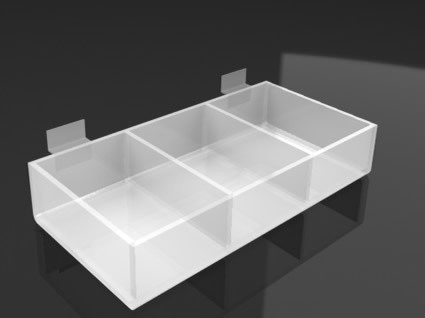 A versatile acrylic shelf with end panels. It has a slight back tilt to keep the product from sliding forward. 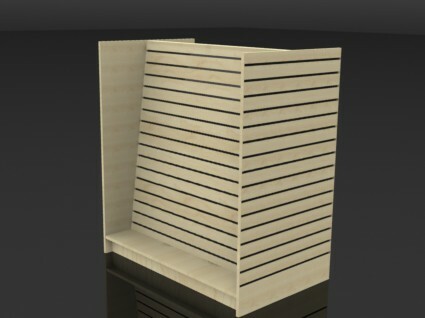 Provides a simple way to display loose wrap on a slat wall. Clear acrylic construction. 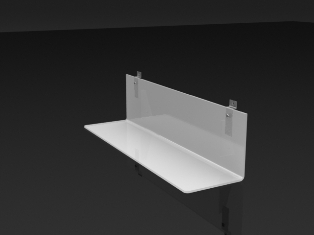 A simple acrylic shelf good for displaying smaller merchandise. 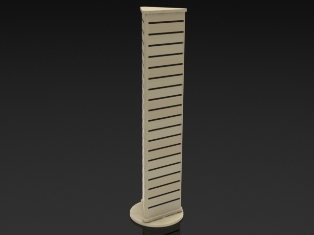 The SF1 is our standard pinwheel gondola display fixture. It is a very popular way to display product. Many options are available—casters, bumper guard, etc. Many options are available—casters, bumper guard, etc. 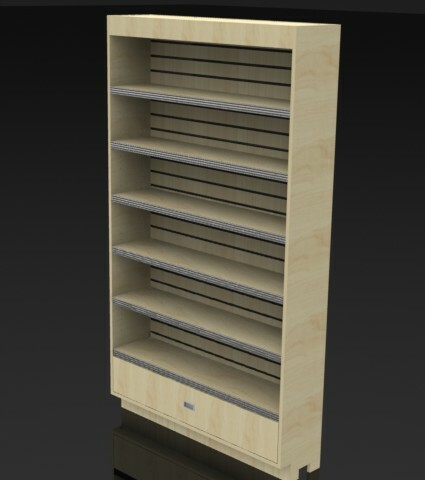 Our standard modular free-standing book display. It may be placed end to end to create a row of units. 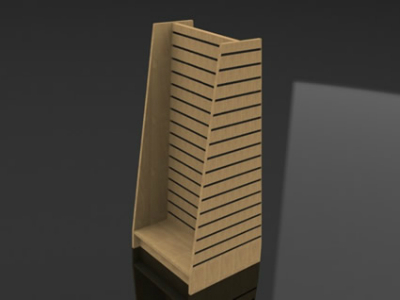 Slat wall end-panels are available, as shown. 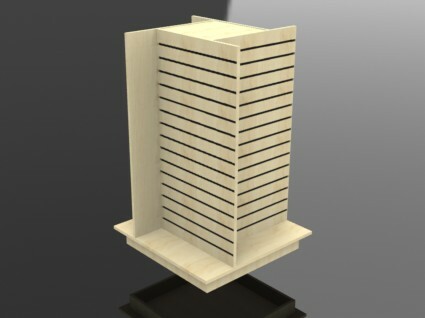 A versatile four-sided spinner unit. 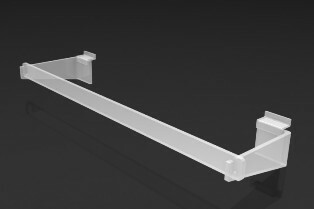 You can place any of our standard acrylic components on the inside slat-wall panels, and hooks and hanging accessories on the outside. 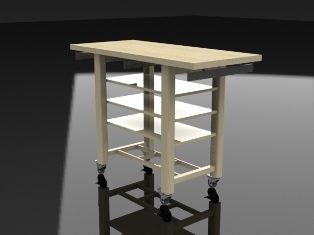 Includes lockable casters. Our standard three-sided spinner. 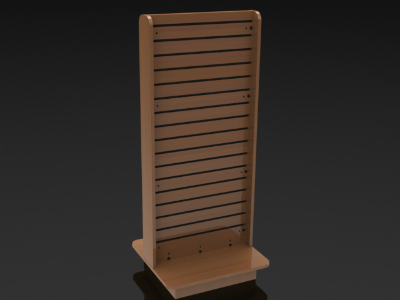 You can add hangers or SS8 single-tier acrylic card displays. 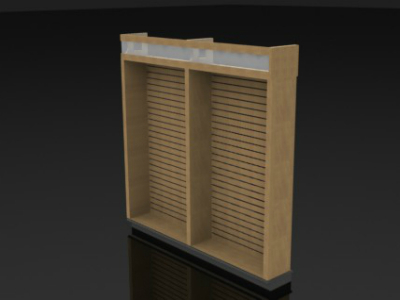 A simple slatwall display unit. It will accommodate acrylic shelves or slatwall accessories on each side. This unit can also be ordered as a spinner. Fully customizable. Our standard pinwheel gondola slatwall display. It is a very popular way to display product. Many options are available - casters, bumper guard, etc. Fully customizable. 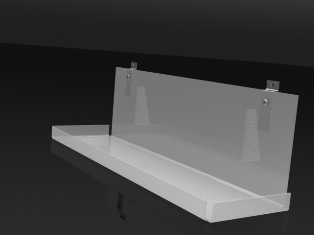 A simple slatwall display fixture with slightly angled end panels. Many options are available - casters, bumper guard, etc. Fully customizable. An attractive end-of-aisle slatwall display. It draws attention to itself with crown molding and hardwood trim. Fully customizable. A great modular wall unit system. This slatwall display is easy to assemble and affordable. Fully customizable. 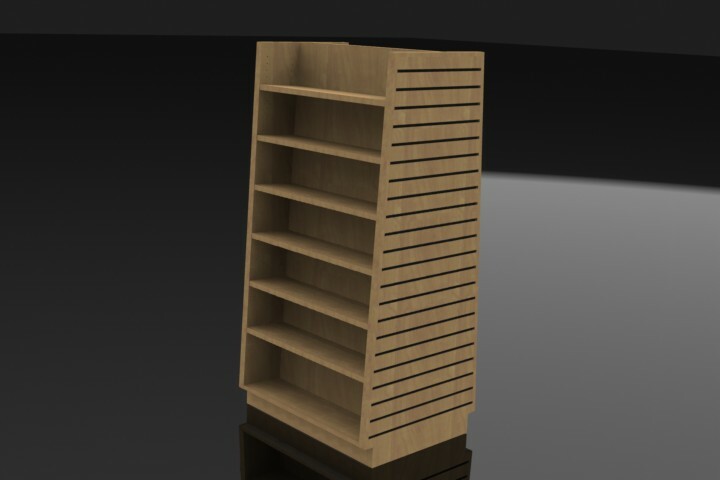 Our modular book shelf unit. 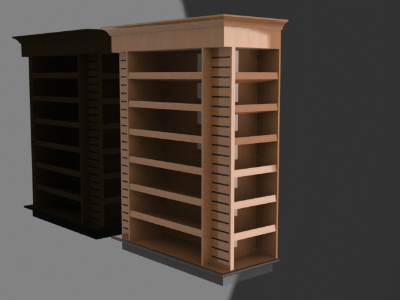 One-inch-thick shelves prevent bowing. The shelves are angled back to keep the books in place. Fully customizable. 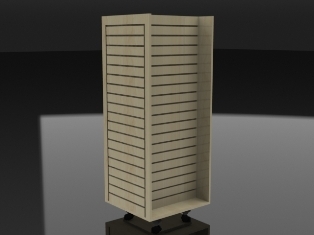 Our standard sales-floor wall unit. 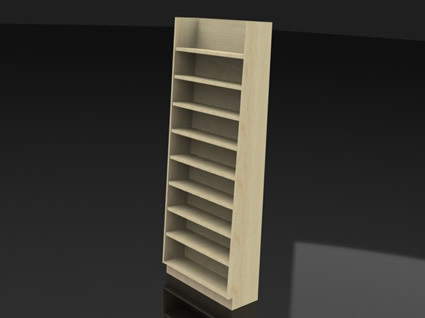 There is a drawer for storage and shelves with tag molding to display product. It can be ordered with or without locking glass doors.